We’re going to devote this post to taking a peek at the rich visual materials in the Amherst College Dramatic Activities Collection. This is but a very small taste of the large collection of photographs, playbills, costume sketches, set designs, props and recordings of Amherst College theatrical productions to be found in the Dramatic Activities Collection. 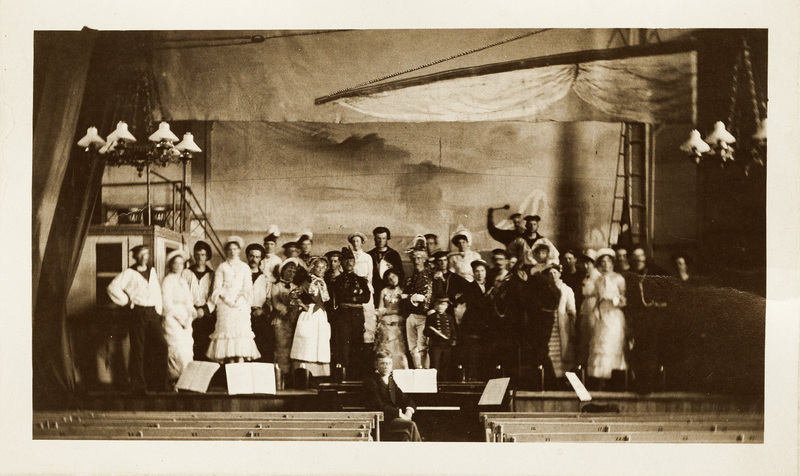 H. M. S. Pinafore, produced in June of 1879 by the Glee Club in College Hall. Drama and theater have long played an important role in student life at Amherst College. Our Dramatic Activities Collection contains evidence of student and faculty performances all the way back to the early 19th century. Clyde Fitch (Class of 1886) was a major force in student theatricals, both on and off the stage, during his time at Amherst. He went on to become one of the most popular playwrights in the United States; a spectacular career that was cut short by his untimely death in 1909. On Thursday, October 23, 2014 we are holding an event in the Clyde Fitch Room in Converse Hall to celebrate the life and career of Clyde Fitch as part of LGBT History Month. 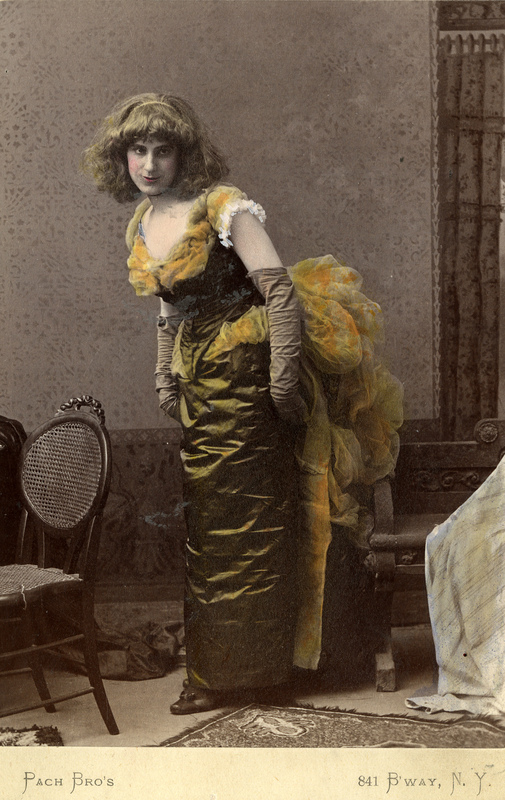 Clyde Fitch in “The Country Girl” at Amherst College, 1884. Many students have fantasized about burning their textbooks, maybe some have even done so, but few taken it to the level of the Amherst College students of the 1860s to 1880s. In Archives and Special Collections, we have programs, photographs, newspapers articles and other ephemera from 14 ceremonial textbook burnings during these decades. The general formula seems to involve the freshmen burning (what we presume to be single representative volumes of) their first year mathematics textbooks in a boisterous late night ceremony, often complete with band, bier, funerary oration and throngs of wailing mourners. Programs were created in secret and handed out surreptitiously. Often the sophomores attempted to disrupt the proceedings and the faculty took a very dim view of the affairs, particularly in the early years.